Welcome to the Blog Tour for Someplace Familiar by Teresa Tysinger. This debut novel—a contemporary southern romance with themes of faith, hope in new love, and grace—is the first in a series of books set in Laurel Cove, a fictional town in the Blue Ridge Mountains of North Carolina. I’m joining other bloggers this week to tell you a little about the book and spread the news about the giveaway Teresa is hosting! 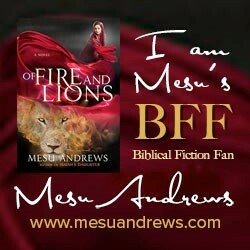 Be sure to enter to win a signed book and more from Teresa at the end of this post. And leave your comments and questions below—Teresa will be stopping by to visit with us! “Fancy seeing you here again so soon.” Jack stood across from her. She seemed so much more relaxed than the night before. A sparkle in her eye danced in the midday sunlight. “Not everyone gets her cooking on a Monday. She must really like you.” Jack shook his head in awe. Aunt Bea was known for her fluffy buttermilk pancakes. No doubt, she showed off in grand form for her only guest. “Where are my manners?” Livy waved at the empty seat across from her. His eyes scanned the place for Meredith so he could introduce them. But the midday crew had already taken over. He approached the counter to order lunch then took the seat opposite Livy. “Reading anything good?” he asked. “Well, I’m not really sure.” She turned it to glance at the cover. Remodeling Your Home for Beginners showcased a young woman on the cover donning safety goggles and holding a hammer with a cheesy smile and gorgeous home behind her. Jack could help her—wanted to. But was it just being a nice guy, or was something else encouraging him to seize the chance to spend more time with her? A jolt of energy surged through his arms, standing the hairs on end, as if he were a schoolboy about to ask a girl to the prom. Ridiculous, of course. But Livy did that to him. It was undeniable. “I’d be happy to drive up with you to the house, if you’d like.” Jasper could manage at the store without him. Besides, when Jack brought Livy to the story, Jasper would probably be incapable of arguing anything. “Oh, I wouldn’t want to put you out. I bet you’re working today, right?” Was that a subtle hopefulness in her eyes? “Thanks so much, Jack. Really.” The smile that lit her whole face left Jack no choice but to smile back. He released a breath he only then realized he’d been holding. Being in her presence relaxed him. Like coming home. What a night and day difference from the reserved woman he’d dined with last night. Reserved one moment and cracking jokes the next. She’d keep him on his toes, for sure. Teresa Tysinger’s debut novel is full of southern charm and romance, with an additional side-serving of angst thanks to Livy’s controlling ex-boyfriend and Jack’s unfaithful ex-wife. Despite almost twenty years having passed since they played together one summer as children, Jack hasn’t forgotten his childhood crush, and although Livy doesn’t immediately recognize her scrawny, gap-toothed playmate in the handsome, muscular handyman she literally bumps into, it doesn’t take long for the two to rekindle their easy friendship. Well, maybe not quite so easy if you add in the attraction that sparks to life! Those who enjoy lots of sweet sparks of attraction and flirtation between their hero and heroine will definitely enjoy spending time with Jack and Livy. Image | This entry was posted in Book Reviews, Christian Fiction, Christian Romance, Contemporary Romance, Romance and tagged 4 stars, Teresa Tysinger. Bookmark the permalink. Thanks, Carolyn. I hope you enjoy it! Thanks so much for sharing about Someplace Familiar and your kind review! I’ll be checking back in case any of you have questions about the book. Makes you want to visit those Blue Ridge Mountains, right?! I’ll meet you there!